Lincoln, Neb. 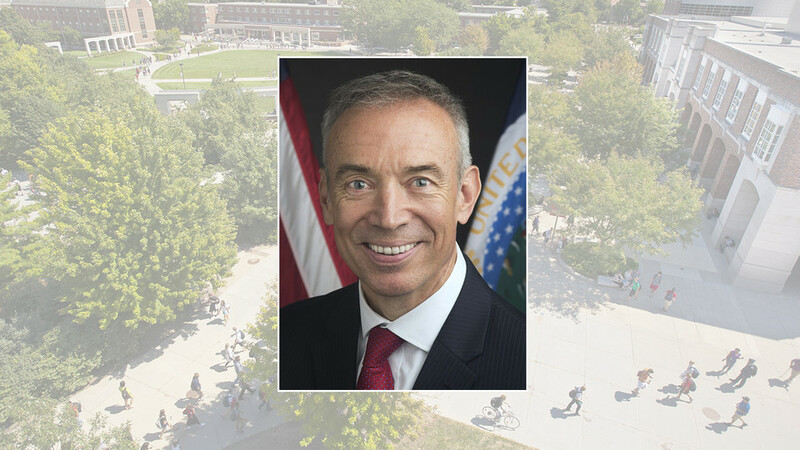 — Stephen Censky, deputy secretary for the U.S. Department of Agriculture, will discuss leadership and the future of agriculture in the Feb. 14 Heuermann Lecture at the University of Nebraska–Lincoln. The free lecture, “Leading Today for America’s Tomorrow,” is 11:30 a.m. to 1 p.m. at the Nebraska Innovation Campus Auditorium, 2020 Transformation Drive. Boxed lunches will be served. Reservations can be made online. “We’re thrilled to have the deputy secretary of agriculture coming to our campus,” said Chancellor Ronnie Green. “Agricultural production and trade are critical issues to Nebraska’s economy and way of life. And, UNL is and has been a groundbreaking leader in agricultural sciences and natural resources research. Censky has served as the deputy secretary of agriculture since Oct. 11, 2017. He previously worked for 21 years as chief executive officer of the American Soybean Association, a national non-profit trade association representing U.S. soybean farmers on policy and trade. He began his career working as a legislative assistant for Sen. Jim Abdnor (R – South Dakota). Censky later served during the Ronald Reagan and George H. W. Bush administrations within the USDA. His tenure includes working ad administrator of the foreign agricultural services, which included involvement in running the nation’s export programs. Lectures are streamed online and air live on campus channel 4. Lectures are archived after the event and are later broadcast on NET2.